While taking a quick image of M42, I saw these four geosynchronous satellites drift thru the field of view. 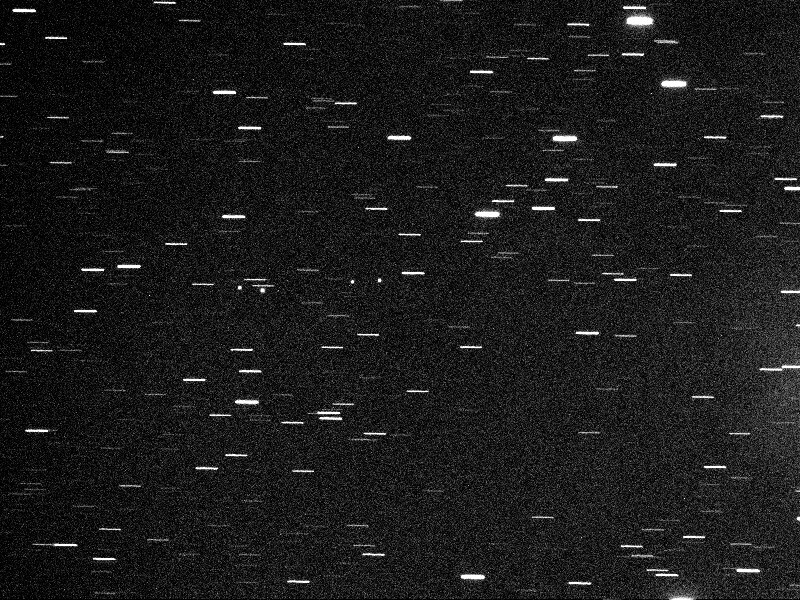 I turned the mount off and watched the stars trail by the stationary satellites for a while. My rough estimate of their location from Anza is Alt: 41.7, Az: 138.6. Anyone know which satellites these are?